The condition's prevalence prev (i.e., the probability of condition being TRUE). 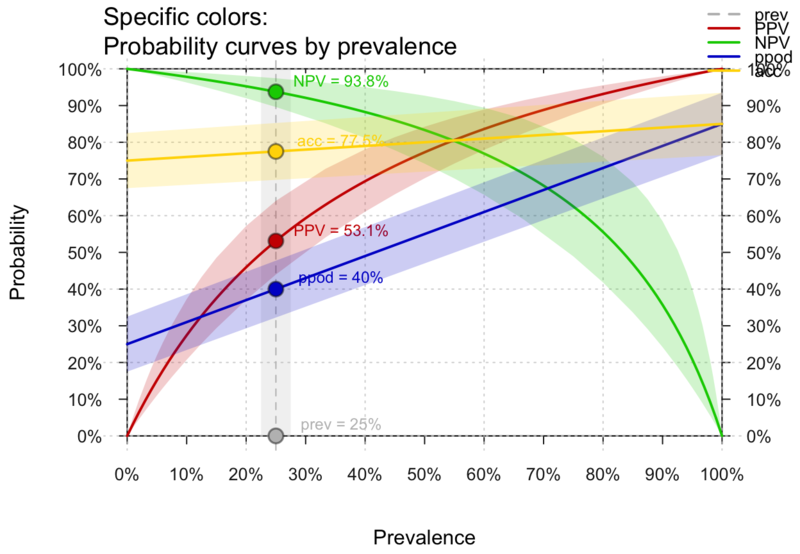 If prev = NA, the curves in what are plotted without points (i.e., show_points = FALSE). 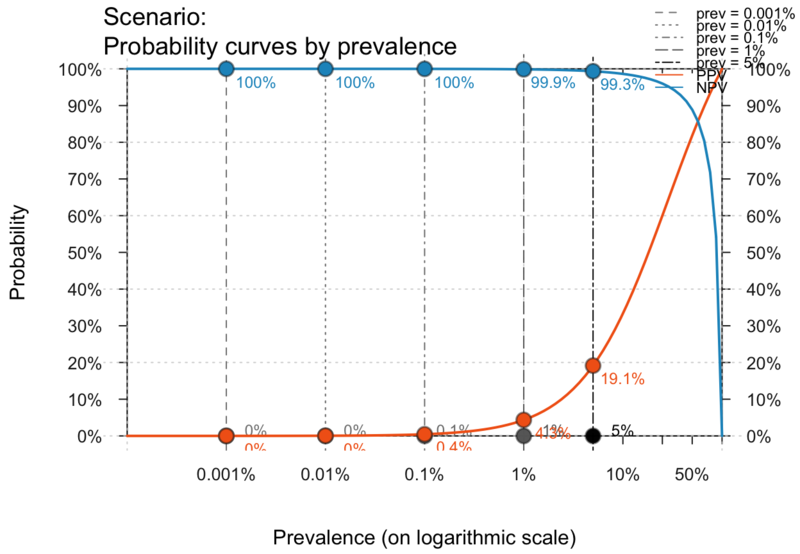 Line widths of probability curves plotted. Default: p_lwd = 2. 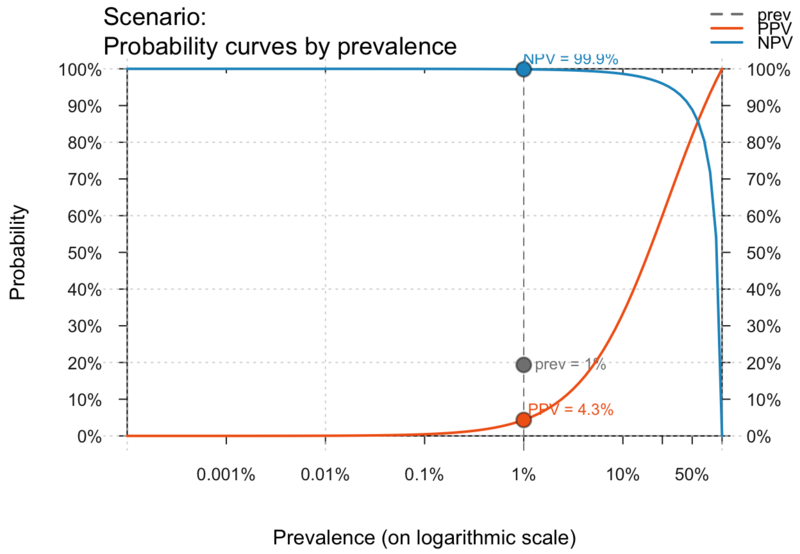 Range (minimum and maximum) of prev values on x-axis (i.e., values in c(0, 1) range). 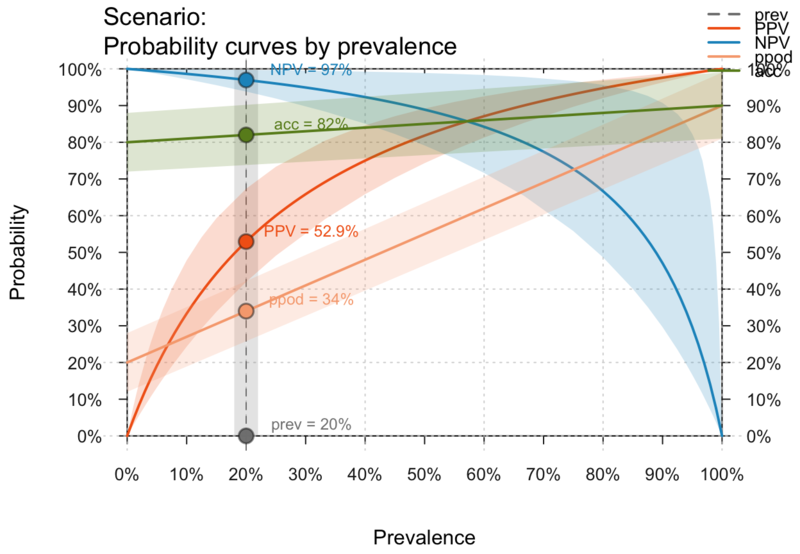 Default: prev_range = c(0, 1). 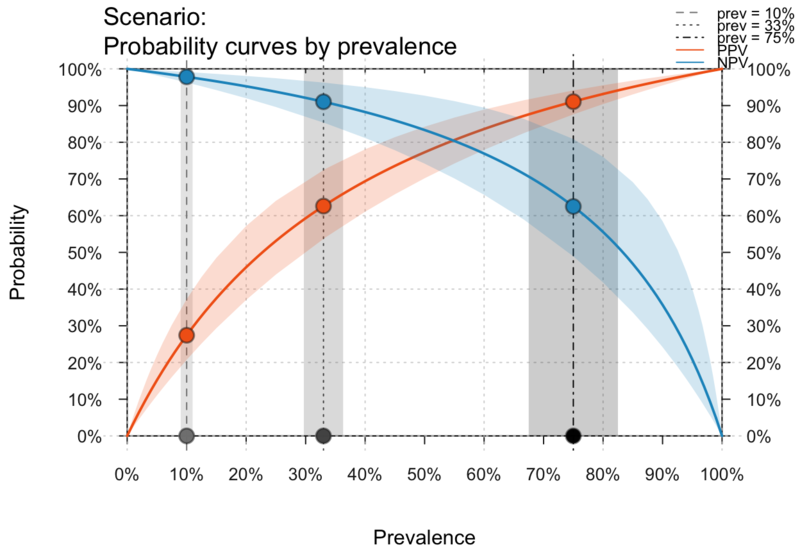 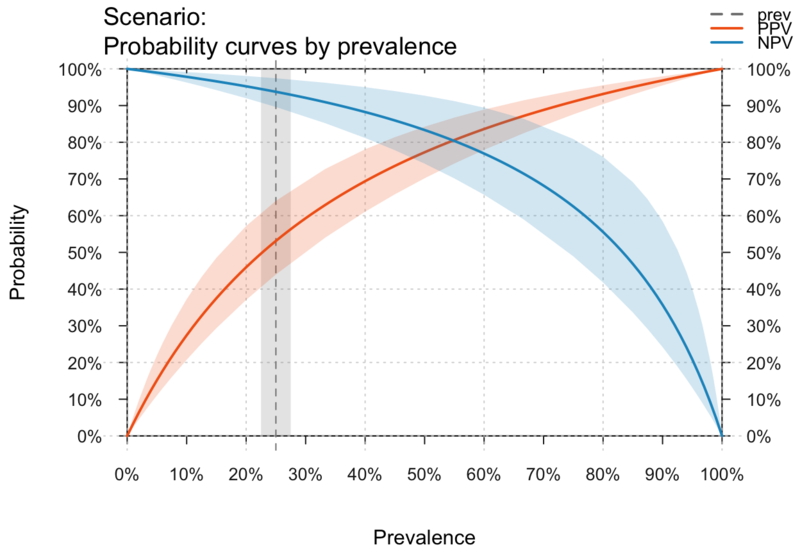 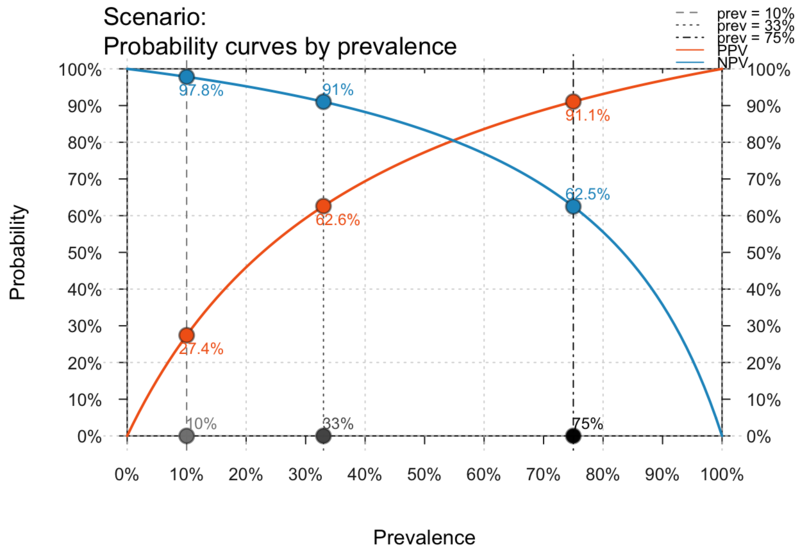 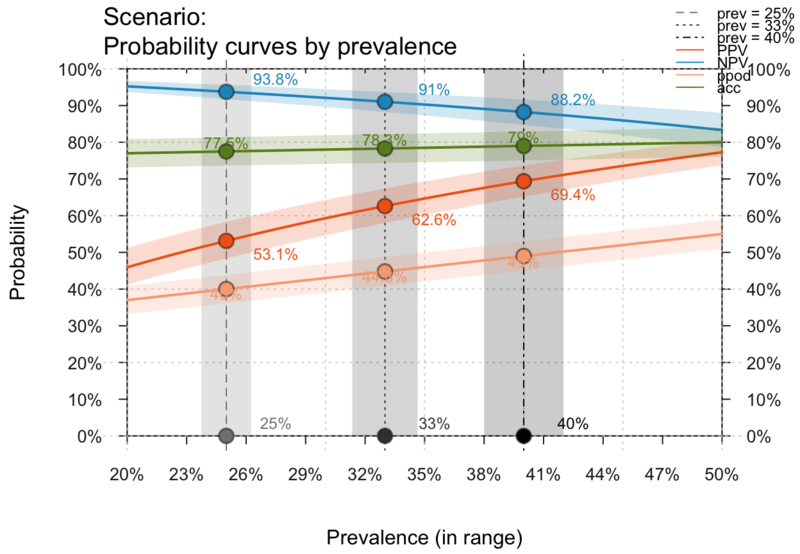 If no prevalence value is provided (i.e., prev = NA), the desired probability curves are plotted without showing specific points (i.e., show_points = FALSE). plot_curve is a generalization of plot_PV (see legacy code) that allows plotting additional dependent values. #> No prevalence value provided: Plotting curves without points. 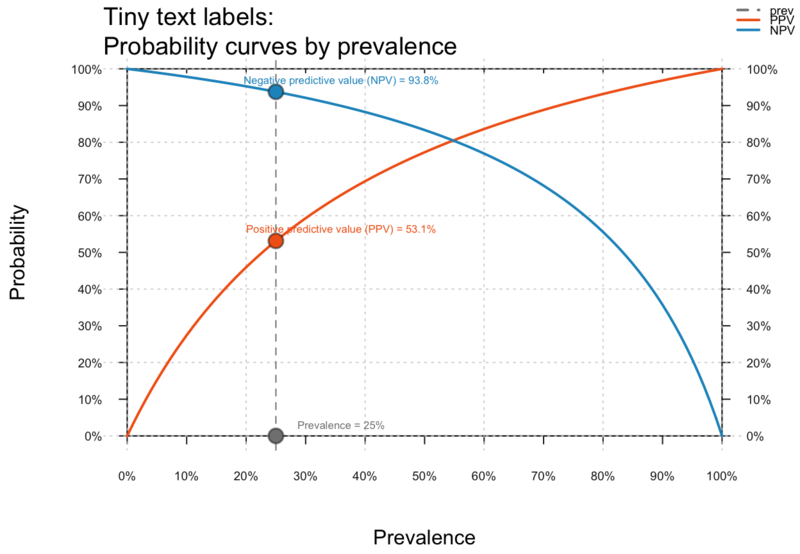 #> Multiple prevalence values provided: Using numeric values to label points. 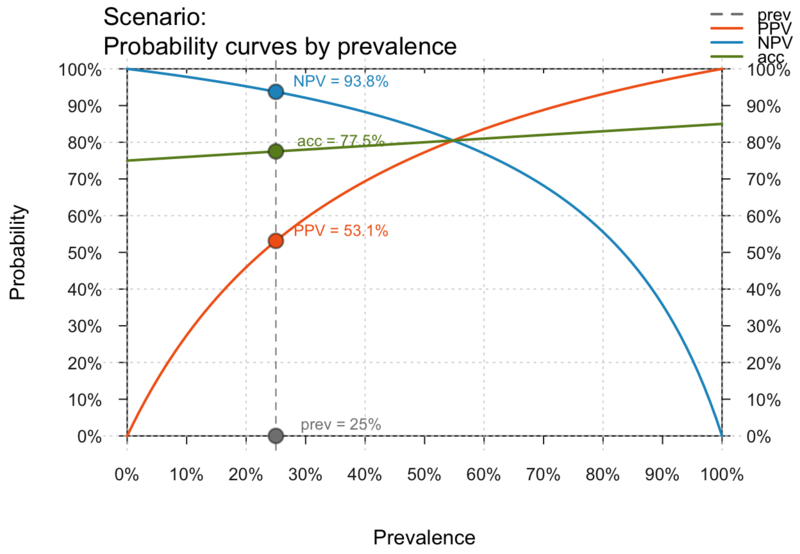 # Selecting curves: what = ("prev", "PPV", "NPV", "ppod", "acc") = "all"